Buying a car is a big step in your life and for most, it’s likely to be the second-biggest investment you make in your life. However, while many people wonder whether they should just settle for a private buy instead of exploring other options, buying a car from a dealership has proven to have the most benefits for every type of driver, regardless of budgeting and how much you expect to pay. 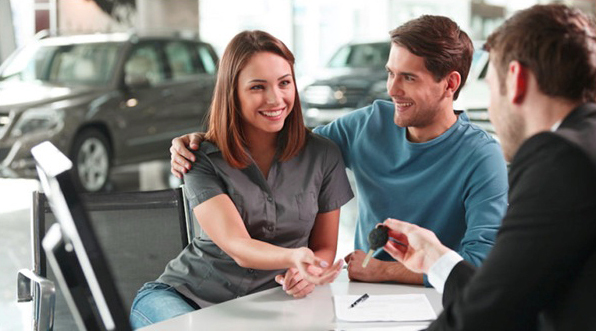 Above all, car dealerships are the most reliable option for you when looking to buy another car. Not only because they have experience, but because they know exactly what they are doing, and they often help to make the process easier for you. While most private sellers tend to stick with their original asking price and have minimal experience in selling vehicles, car dealers have an entire history of knowledge and can advise you on the best option, based on your budget. The main benefit of buying a car from a dealership is, of course, that they employ fully trained professional staff who know all there is to know about cars while knowing a great deal about which type suits everyone based on not only their budget, but their preferences and more importantly, their type of lifestyle too. So, you know for sure you are in for the best deal when you visit a car dealer. The one major worry about buying a car is what would happen if anything was to go wrong after driving it from the forecourt, home. While buying a car online through a private sale could leave you with very few options but to fork out the money to cover the cost of unexpected repairs, car dealers make sure that you have some sort of plan put into place should the worst happen. This usually does cost a little bit, but it beats having no cover there at all! In tie with the previously mentioned benefit, car dealerships often have trained technicians and offer repair services to keep you covered, which is performed with professional equipment. Most private car sellers have no understanding in car maintenance and would not accept any responsibility after selling the car over to you. And why should they? Nevertheless, when you buy from a car dealer, you get aftercare and service plans put into place so that you never need to worry about costly, last-minute repair bills – phew! The best thing about car dealerships is that they work with you, around you and for you all in one. You are never pushed to pay them a visit at a time that is awkward for you to do so, and instead, you are left to make the choice of when it’s convenient for you to visit them. That way, you can take all the time you need to pick a car that is right for you, rather than being pestered to make an instant decision by a private car seller.